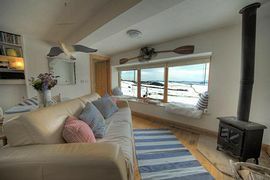 The Summerhouse is an extremely comfortable studio cottage in contemporary sea-side style suitable for couples, plus a dog. Set in quiet rural hamlet with panoramic views over open countryside. 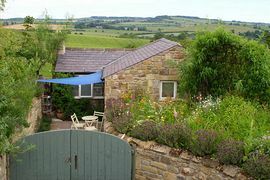 One mile to beaches and main village of Alnmouth with all local facilities and only 500 mts from mainline train station. Ideal location for exploring Holy Island, Bamburgh, Beadnell and Craster on the Northumberland coast, as well as only three miles from Alnwick Castle Garden. 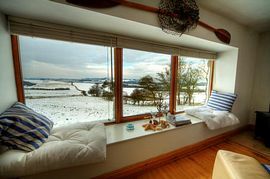 Log burning stove, TV/DVD with digital Freeview, iPod dock and mobile broadband access. 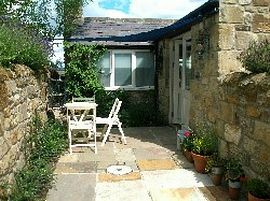 Available for weekly holiday lets, short breaks and long weekends throughout the year. Close to the amazing beaches and sand dunes around Alnmouth. 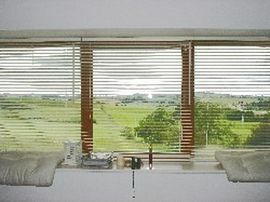 Panoramic views towards Alnwick over open countryside. East Coast mainline, and Cross Country trains to Alnmouth for Alnwick. 35 miles north of Newcastle upon Tyne and 4 miles from A1 at Alnwick exit. High-season: up to £420.00 weekly. Change over day for weekly lets is Saturday. Check out 10.00am. Check in 2.00pm.